Microsoft continues to update Windows 10 in its Creators Update builds. Here are the latest changes to Apps and Features as well as news on MS going Universal Apps only soon. Microsoft is revising categories in its modern settings and configuration tool in the Windows 10 Creators Update. Apps finally get their own category; previously, managing your apps was located under Settings > System > Apps & Features. 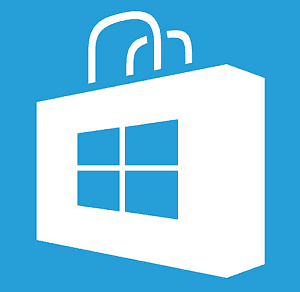 Let’s check out what’s new and improved and where you can now find Apps now! Filters and sorting tools are more refined, featuring a column view; making it easier to find and determine information like app size. 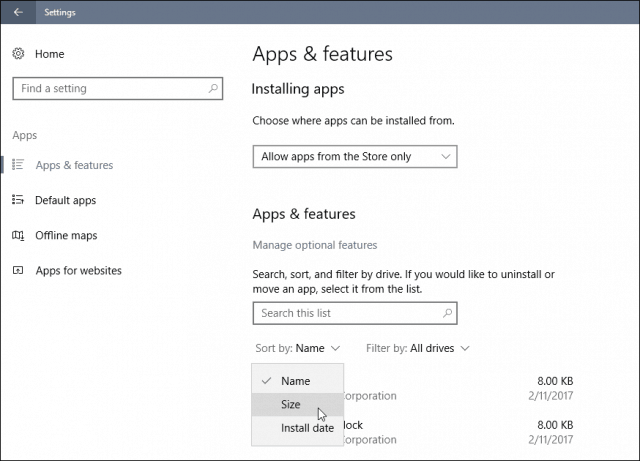 A new list box lets you block apps from outside the Windows Store. This is similar to Gatekeeper feature in macOS, which blocks certain apps not downloaded from the App Store. Microsoft is gently nudging users to start embracing universal apps because of several benefits such as security, consistency across different devices, ease of deployment and management. Recent leaks of an upcoming Windows 10 edition called Cloud, will exclusively run universal apps. An early sign of the direction Microsoft is taking Windows 10 in the future; users should prepare to say goodbye to Win32. 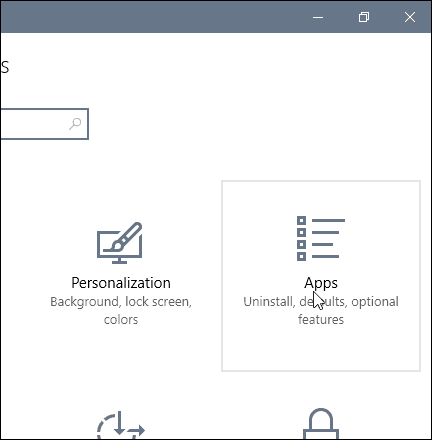 Apps & Features is now the default interface for managing your apps in Windows 10. Previous versions of Windows provided easier access to the older Control Panel item for Programs and Features. The Power menu now defaults to Apps & Features. Users can still get to the old UI for now by opening the Run command (Windows key + R), type: appwiz.cpl then hit Enter. Again, no surprises, but more convenience. Microsoft said they have improved the app default behaviors, so you should see less default resets when you perform updates. I wouldn’t bet on it, though. I use Paint Shop Pro, and use the 32 bit program to use Filters with. Lots of the old filters will not run with the 64 bit version. If Microsoft does away with Win 32 bit, will that leave me up with creek and not able to use those filters. They need to be put in the Win 32 bit. The Creators Update will be available in 32 and 64 bit versions. Oh, I understand what you are referring to. WIN32 is the programming model Windows has been using for nearly 25 years. This will only be specific to Windows 10 Cloud or whatever they are calling it. The regular editions such as Home, Pro and Enterprise will not be affected by this. Thanks Andre for further explaining this. I thought it meant that the WIN32 would be gone on my Home Version of Win 10. I was worried that my Program Files X 86 folder would be gone. 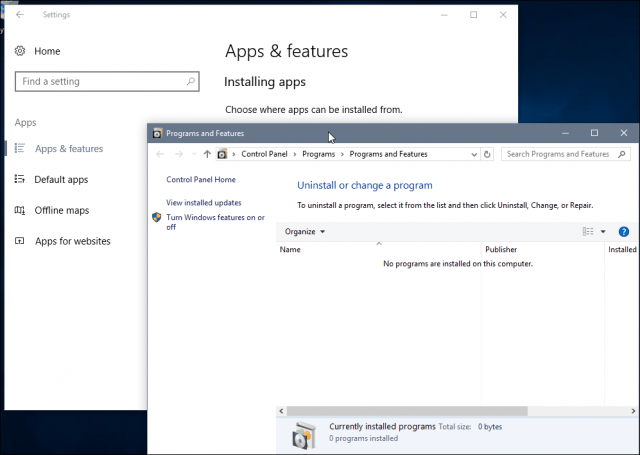 Has windows 10 include visual c++ 2013 ?